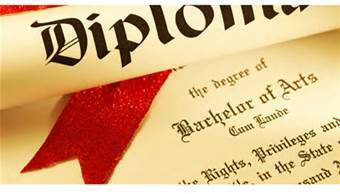 A Bachelor's Degree is a certificate of completion from an accredited 4-year college. Bachelor's Degrees in the United States are typically designed to be completed within four years of full time college study. However, in certain disciplines (such as architecture and certain types of engineering), it may take longer than 4 years to earn a Bachelor's Degree. As mentioned, a Bachelor's Degree can be obtained from any accredited 4-year college or University. Going for a Bachelors Degree usually involves selecting a "Major," which is a special area of academic focus. Related courses count toward fulfilling the requirements of your chosen Major. Elective courses are the additional credits you need to graduate with a Bachelor's Degree. Prerequisites for a Bachelors Degree include a High School Diploma or GED (General Equivalency Diploma), as well as tuition and fees for college. College tuitions are quite expensive these days. Fortunately, financial aid is available to many students, and online learning is widely available to cut the costs of going to college. To maximize your chances of being able to afford college, it is wise to apply for as many college Grants as possible. Applying for LOANS is not recommended. Countless college students can attest to how depressing it is to start your adult life buried up to your eyeballs in debt.